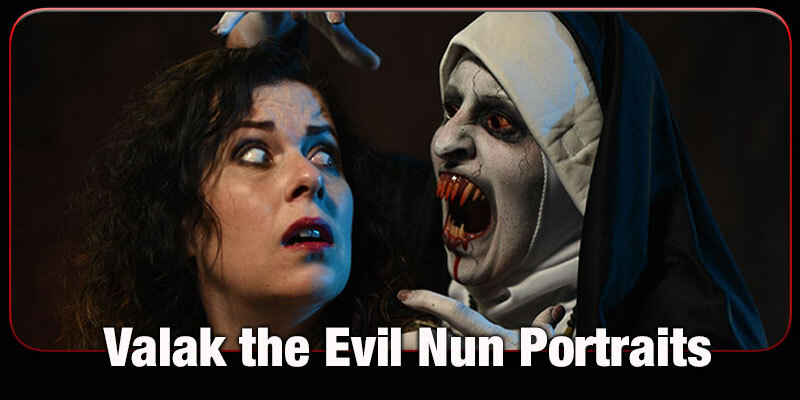 Become the evil nun Valak, from the Conjuring. One of the scariest iconic characters from the modern era of horror, this epic portrait shoot will truly give you nightmares. 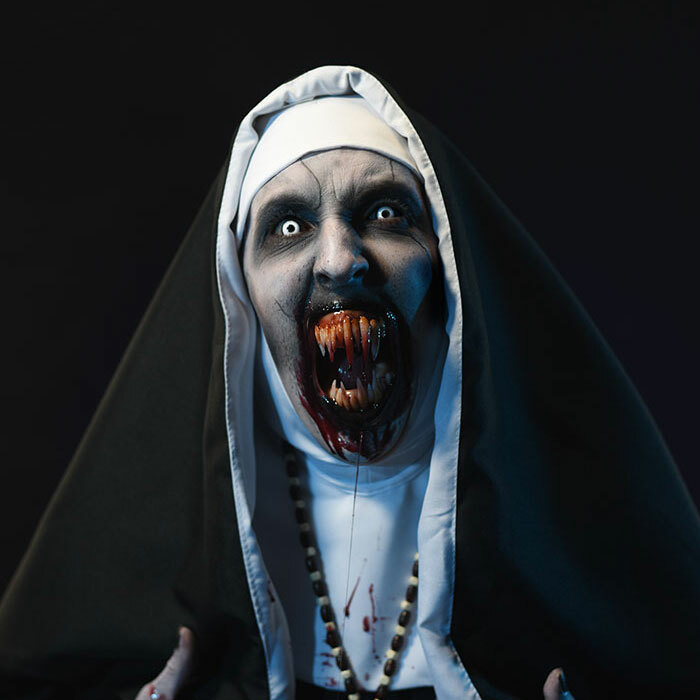 • In this dramatic photoshoot, you will be photographed as the evil nun Valak complete with costume habit, ghostly make-up, and grisly teeth. • You will be directed by the photographer into poses which will feature some fake blood. • Maximum x2 people. A solo shoot will feature you as Valak. A two-person shoot will feature the second person as Ed or Lorraine Warren, to be a victim. At the start of the shoot you'll become a ghostly apparition of the evil nun, praying with a crucifix. Valak is famous for having an impressive set of teeth which appear when the demon is active. If you bring a second person, they can become your victim, dressed as Ed or Lorraine Warren. • You will not need to bring anything unless you want to. We will provide the nun's habit, crucifix, and make-up. However if you have your own costume and would like to use it then you are welcome to. If you bring a second person to be a victim then they will need either suitable 1970's era clothing or casual modern clothing that they don't mind having covered in blood. • Horrify Me will supply all the make-up, nun's habit, teeth, and fake blood, so you will not need to bring any of this.